The Detroit vocal group's soulful "2nd Time Around" album, originally issued on Motown's V.I.P. label in 1970, plus a generous 13 bonus tracks. Bonus tracks comprise ten unissued gems from the vaults and three titles previously available only as downloads. Bobby Smith sings lead on tracks 11, 16 & 17 and shares lead with G.C. Cameron on track 3. All other leads by G.C. Cameron. Tracks 1-15 are stereo, 16-25 are mono. 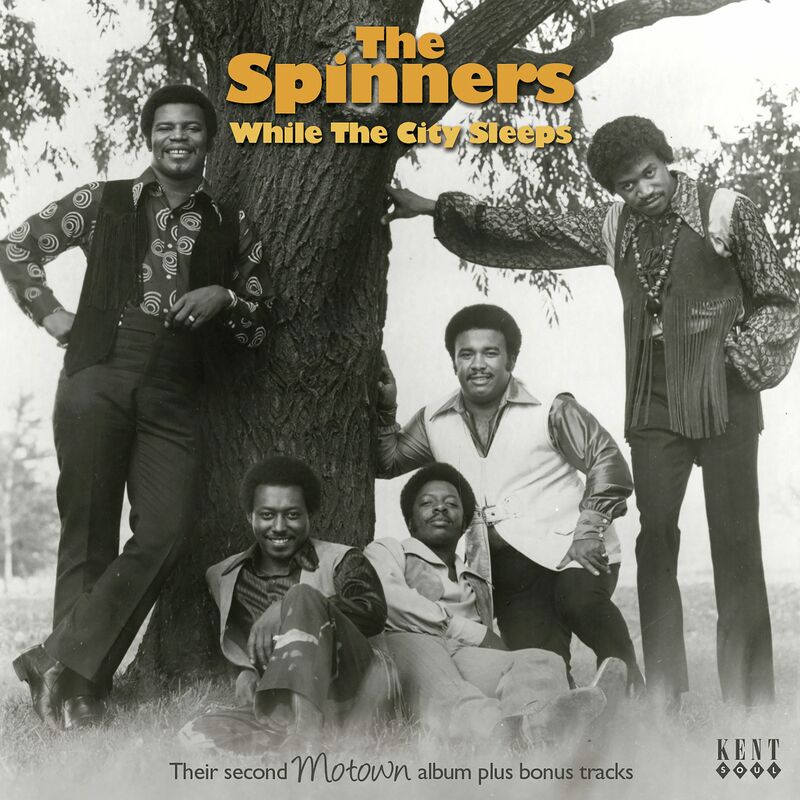 A follow-up to Kent's earlier Spinners release from 2012, "Truly Yours: Their First Motown Album" (CDTOP 371). The Detroit vocal group’s “2nd Time Around” album, originally released in 1970, with 13 bonus tracks including 10 previously unissued masters from the Motown vaults. The majority of tracks here date from 1967 to 1970. The exceptions are the haunting ‘While The City Sleeps’, recorded on the West Coast in 1965, and ‘I Can’t Let You Go’ from 1966, both featuring Bobby Smith on lead. Bobby also fronts the group on ‘(She’s Gonna Love Me) At Sundown’ and shares lead with G.C. Cameron on ‘Together We Can Make Such Sweet Music’. The remaining 21 tracks all feature lead vocals by G.C. Cameron, who joined the group in 1967 following the departure of Edgar “Chico” Edwards. As Keith Hughes notes in the booklet, “In the course of their seven-year contract with Motown, the Spinners released a handful of singles and two albums: a total of just 25 tracks. But they were constantly in the studio, and recorded over 130 songs for the company. During the early years, most of their material was written and produced by Harvey Fuqua, but from 1967 on they were passed from hand to hand as Motown tried to find a hit song for them.” Frustrated by their lack of success, when a vacancy arose, G.C. Cameron was recruited to add a new dimension to the Spinners’ sound. As Bobby Smith recalled, “We would hang around the studio every day trying to get on the background scene – whatever they needed us to do to make some money. We became real good friends of Stevie Wonder and he liked the way G.C. sang. So we talked Stevie into doing a song on us.” ‘It’s A Shame’, produced and co-written by Stevie, became the biggest hit of the group’s Motown tenure, prompting the release of their second LP. The cast list of songwriters and producers on this expanded version of the album is enough to delight every Motown fan’s heart, with Smokey Robinson, Edwin Starr, Ivy Jo Hunter, Norman Whitfield, Johnny Bristol, Mickey Stevenson, Al Cleveland, Marc Gordon and Hal Davis all making appearances. There’s also an early Rick James song and production. G.C. Cameron displays his talent for vocal mimicry on many of the tracks, at times sounding like his pal Dennis Edwards, at others like the rougher-voiced guys at Stax. He even does an impression of Smokey Robinson. The Spinners bade farewell to G.C. Cameron and Motown in 1972 and signed with Atlantic Records, where they achieved fame and fortune with new co-lead singer Philippe Wynne. Here is your chance to hear them poised on the cusp of long-overdue international success. The copyrights in these sound recordings are ℗ Motown Records, a Division of UMG Recordings, Inc. Licensed courtesy of Universal Music Opetations Ltd. This compilation ℗© 2018 Ace Records Ltd.